Preparing for competitive examinations? One of the secret tricks to crack competitive entrance examinations is to start early. If your aim is high, i.e. of getting into the IITs, you can’t take it for granted. JEE, expanded as Joint Entrance Examination, is a standardised test conducted for admission to various engineering courses in India. Earlier called Indian Institute of Technology Joint Entrance Examination (IIT JEE), the JEE test comprises questions of objective-types, which assess the knowledge and skill of students in the engineering fields. The particular exam is administered in two levels – Main and Advanced. Clearing the first level, i.e. JEE Main would make way for the second round exam, i.e. JEE Advanced. 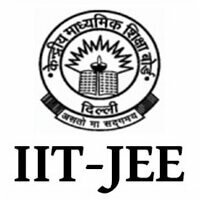 It is only after cracking JEE Advanced the applicants would be placed at the IITs. Every year, more than 13 lakh applicants appear for the JEE Main exam. Only 2,24,000 qualify the test. Since the competition is pretty stiff, early the preparation the better. The ideal time to start the prep is just after the 10th Class exam. For candidates busy in preparing for Class X, it will not be long before getting worried about ‘how to prepare for IIT-JEE after 10th’. Proper Planning, Analyse & Early Preparation: Generally, preparation for the JEE exam begins at least a year or two prior to the actual commencement of the test. Keeping this trait in mind, most students while studying Class XI and XII indulge in planning and making extensive strategies for the examination. Coming up with a great strategy ahead of time will surely bring better result. Make To-do List & Set Goals: Setting up a realistic goal, allocating appropriate time and working on the to-do list would actually give you the best results. Do Away with Important Concepts – Know Exams: Have you done away with all important concepts? Are they crystal clear on your head? 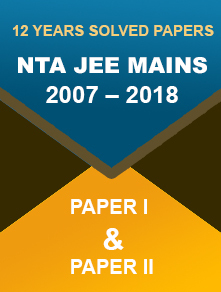 JEE Main will have 2 papers – Paper I and Paper II. Paper I consists of 90 questions (MCQs) carrying 360 marks, while Paper II covers 82 questions carrying 390 marks. The duration of exam is 180 minutes. 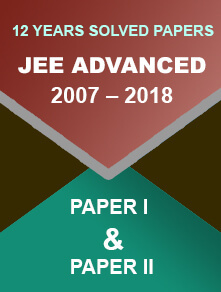 The JEE Advanced exam covers Physics, Chemistry and Mathematics subjects. Both the exams would be held in online (CBT) mode. Subjects Covered: Both JEE Main and Advanced cover Physics, Chemistry and Mathematics subjects, but the difficulty of the questions differ. Mock Test – When you wish to assess your skills, count on the official aides. In this connection, the role of the mock test is far better than anything else. It is available on the official website and students can make the most of it for free. Taking up the mock tests will make you exam-ready. Question Papers – Attempt the previous years’ question papers available on the JEE (Main and Advanced) websites. Frequently Asked Questions – The ‘FAQs’ section contains general information related to the Joint Entrance Examination. If you develop confusion regarding how to apply, specifications related to the documents, eligibility, etc. the FAQ can come in handy. It’s official, thus reliable. Stay Updated: Do you know National Testing Agency is the newly appointed exam-conducting body of JEE Main? The Agency will organise the test twice a year. Students can appear for both January and April session exams. The Authority will consider only the best score of the two. Revision: Done with the syllabus? Probably, it is time to get down to the nitty-gritty of the preparation – revision. Revision is the practice that would make you perfect by the time the exam commences. Timetable: Not weekly or monthly, you rather plan a daily timetable that distributes equal hours to each subject or, at least, you know which subject needs more time. Invest time keeping various factors in mind. Follow the devised timetable religiously, i.e. regularly and consistently. Focus on Weaker Points: Stuck in some topics? Can’t get away from the problems? Well, you must spare more time finding the solution. If you are not great in some areas, spend more and more time studying them. Eliminate distractions like TV, etc. and devote maximum time taking practice tests.